Touring the Texas hill country on a motorcycle is quickly becoming a destination vacation for many Texans and out of state visitors. The hill country comprises of an area roughly the size of Rhode Island and offers hundreds of miles of lightly traveled back roads that are perfect for a motorcycle cruise. 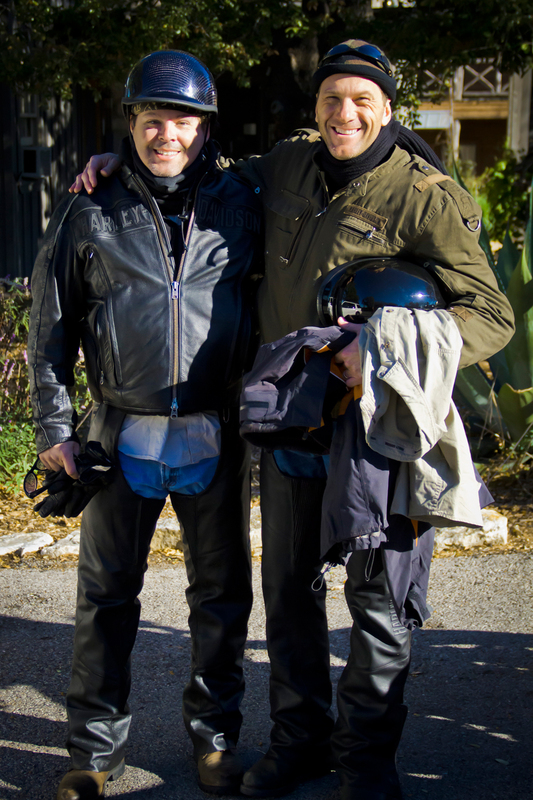 More and more motorcycles owners are looking for a unique motorcycle getaway in Texas and many of those people are making their way to the Inn Above Onion Creek bed and breakfast. Located at the gateway to the Texas hill country it's conveniently located near numerous great rides. The Inn offers luxurious accommodations on an 88 acre property with stunning 20 mile views of the countryside. With 12 guest rooms, a day spa, relaxing pool, and dinner & breakfast included, it's a perfect retreat after a long ride. Check out www.innaboveonioncreek.com for more information about lodging for your Texas hill country motorcycle tour. Roughly the size of Rhode Island? It's alot bigger than that. I suggest you look at a map. The area from SA to Junction to Austin is way bigger than that piss-ant state. The hill country comprises of an area roughly the size of Rhode Island and offers hundreds of miles of lightly traveled back roads that are perfect for a motorcycle cruise.